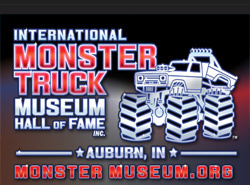 Well fans, its a huge weekend for monster trucks as two of the biggest events of the summer are happening on opposite ends of the country and TMB is on hand for all the action!! 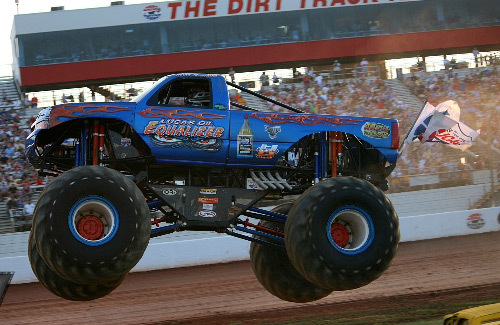 Tonight the Monster Truck Challenge Back to School Bash returns to The Dirt Track @ Charlotte Motor Speedway as 10 trucks will once again take on the wildest racing course in the history of monster trucks. TMB’s Chris Parrish is on hand filming for what will be Episode #2 of the new ActionTracks series and he’ll have all the highlights as Mike Hawkins in Equalizer looks to win it all for third straight year in Charlotte. He’ll take on Avenger, Raminator, Stone Crusher, Mopar Magic, Backdraft, Brutus, Hot Tamale, War Wizard and Tail Gator – what a lineup! 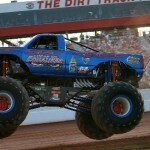 Check out www.CharlotteMotorSpeedway.com for more information on one of the year’s biggest events. Out west, its the annual Maverik Clash of the Titans at Rocky Mountain Raceway in suburban Salt Lake City, Utah today and tomorrow. 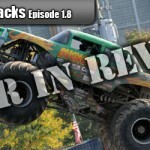 Twelve trucks will take on the tricky figure 8 style race course and our own Colby Marshall is on hand for all the fun as he too will be filming for another new TMB TV spinoff video series – stay tuned for more news on that. 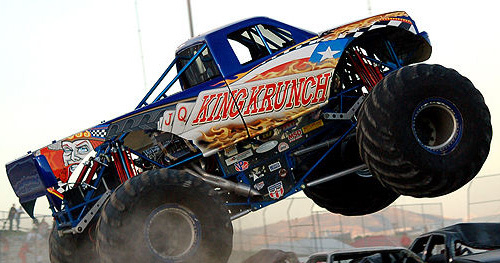 The lineup will feature drivers who have dominated at RMR before – Dan Runte in Retro-Bigfoot, Jimmy Creten in Bounty Hunter and David Smith in King Krunch. They’ll take on some tough RMR first timers including Jon Zimmer in Amsoil Shock Therapy and Rick Swanson in Obsession who are both expected to contend for victories. El Matador, Ms. Bigfoot, Obsessed, Maverik Monster Trakkar, Excaliber, Iron Outlaw and Captain USA round out the lineup. 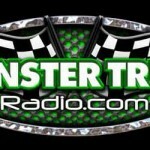 For more information, check out www.RMRRacing.com as you do not want to miss this event. Stay tuned to the TMB Facebook page this weekend as Chris and Colby will keep you updated on all the happenings with these two HUGE events!! 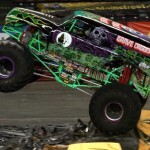 (Sarasota, FL) The All Star Monster Truck Tour blasted through the Vermont State Fairgrounds this past weekend with 5 of the nation’s best monster trucks battling it out each night to become the king of the hill. The Friday Night Wheelie Contest went to Greg Winchenbach in Crushtation putting up a score of 28, narrowly edging out Jeremy Slifko’s score of 27. Chicago-Style Racing was up next with the brackets being set by the wheelie contest finishing order. The brackets made their way down to the finals and it was Jeremy Slifko in Backdraft edging out Mike Barnes in War Eagle for the racing victory. Jeremy’s final round win earned him the coveted 5th and final spot in the freestyle order. All the drivers put it on kill for monster freestyle, with each driver scoring a well-deserved 27 or better. Jeremy Slifko made the most of his final freestyle spot and laid down a fantastic run to score a perfect 30, which put Jeremy as Friday Night’s King of the Hill. The second and final night of the All Star Monster Truck Tour kicked off with a bang with Greg Winchenbach trying to make it 2-for-2 in wheelie wins scoring a 29 for his effort, but by the luck of the pre-show hat draw, the final truck out was Mike Barnes in the War Eagle who threw his Chevrolet into the air and destroyed his wheelie bar on the landing en route to a perfect score of 30 and the wheelie contest victory. Mike Barnes continued his hot streak making into his 2nd strait final round appearance of the weekend, this time facing off against Crushtation. 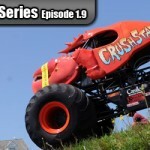 When the dust settled, literally, the “monstah lobstah” was able to reach the finish line first and take the 30 racing points heading into freestyle. The night wrapped up with another wild freestyle contest, which again saw all the competitors scoring no lower than a well-deserved 26. Tonight was ended up being about the man from Maine as Crushtation was able to throw up three 10s to knock down a perfect 30 and end up with only 1 point away from a perfect night in the King of the Hill standings. The response from the fans and the Vermont State Fairgrounds staff was loud and clear, the All Star Tour will return in 2011 with an even bigger and better show. 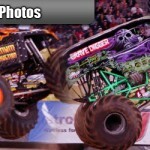 For more information on the All Star Monster Truck Tour, visit them online at www.AllStarMonster.com.